LOUISVILLE, Ky. — Bridgestone Bandag Tire Solutions (BBTS) has introduced a new long-wearing Bridgestone-brand R287A steer tire. The new radial, which has already been approved for use on Environmental Protection Agency (EPA) SmartWaySM-certified equipment and is California Air Resources Board (CARB) compliant, is designed to provide superior tread wear and mileage for low cost-per-mile in regional and long-haul applications. The tire was launched at the Mid-America Trucking Show in Louisville, Ky. this week. This refined Side Groove structure acts similar to a “shock absorber,” helping prevent shoulder edge wear from spreading to the ribs. The inside of the groove is engineered to prevent stress cracking. The Equalizer RibTM feature promotes uniform rib wear and higher removal mileage by fighting initiation and spread of rib edge wear. The R287A steer uses an enhanced cap/base compound and design for improved mileage. The top, or cap compound is formulated to wear slowly, fight irregular wear and run cooler for superior tread life. The base compound is designed to shield the casing from damaging tread heat for enhanced retreadability. A shallow 16/32″ tread depth for less tread squirm also promotes longer mileage, the company says. The casing incorporates four full steel belts and an all-steel casing ply, and is designed to minimize heat buildup for long life and retreadability. 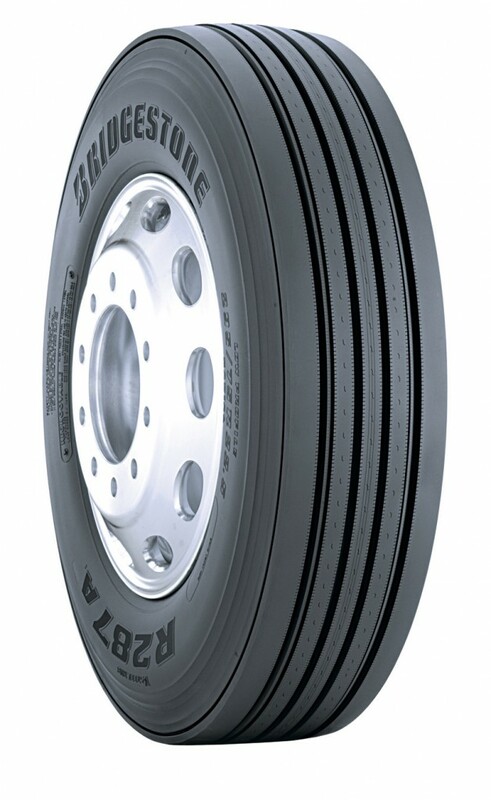 For information on the R287A, visit BridgestoneTrucktires.com.